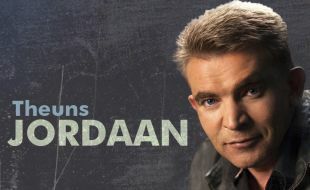 Theuns Jordaan is undoubtedly one of the biggest Afrikaans artists. With five solo albums and sales of more than 1 million, he has proved that he is not only an accomplished singer, but also a very talented songwriter. Theuns brings his own distinctive style when covering music from other artists like Koos du Plessis, Johannes Kerkorrel or Koos Kombuis. Prices, cast members & show content without notice.